Bring the power of two trusted names to your home with Purina Tidy Cats LightWeight With Glade Tough Odor Solutions Clear Springs clumping litter. 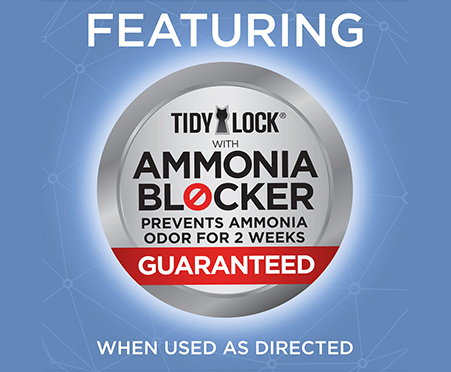 A powerful Ammonia Blocker prevents odor from forming for at least two weeks when used as directed. 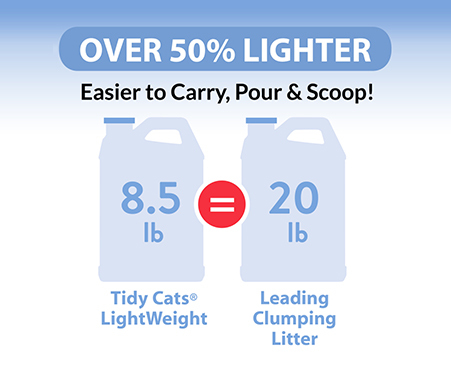 * The lightweight formula is half the weight of the leading clumping cat box litter. 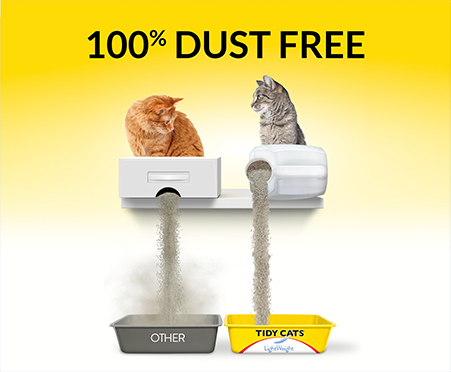 Formulated for multiple cat households, this formula is now 100% dust free. Use just like traditional scooping litter. 1. Pour to depth of 3-4 inches. 2. Remove solids daily. 3. Add more litter to maintain a depth of 3-4 inches. Pour close to the litter box for maximum Tidy-ness! Clean the cat box with warm water and a mild detergent between litter changes. I have 3 cats. I absolutely love it tidy cats light weight cat litter. My cats been using tidy cats for years now. Best clumping litter ! Tidy cat product meets expectations. Got the job done. This product is great for keeping litter smell under control in the house. The jug is very light weight and easy to carry. Kept the room with the cat litter in it smelling fresh. Also great clumping and easy to keep the litter pan clean. Tidy Cats Lightweight is really great in that it is so easy to carry and pour. It has a nice scent and works ok. I would like if it controlled odor a little better but it does clump really well. Typically, my cats litter box smells awful. Once I redeemed the coupon, I began using it and noticed that I barely noticed my cats litter box! I will definitely purchase this in the future due to the odor control...the light weight packaging is a plus! I tried this Tidy Cats Lightweight litter and it worked great! I love how lightweight it is. At first I was nervous that it wouldn't work as good because of how lightweight it was but it worked even better! It covered any smell too! I received a coupon for a free trial of Tidy Cat Lightweight litter in the jug. I LOVE THIS STUFF!! 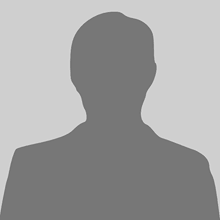 IT clumps very well, it is dust free and super light. 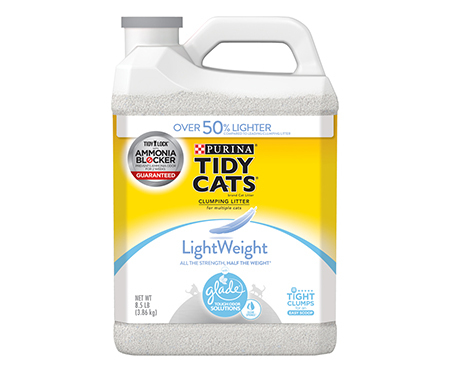 Tidy Cat Light weight litter almost has a sawdust texture too it, so it doesn't seem to track as much as regular litter. It is also extremely easy to pour in the litter box. The Glade fragrance is a nice plus as well. I received a coupon for a free sample of Tidy Cats and purchased the Tidy Cats Lightweight with Glade Tough Odor Solutions. I would Highly recommend this product! We have multiple cats and this litter totally worked like magic in our home! I can't wait to purchase again! This product was great. It works very well and is lightweight. I love this product! Works Great! I have Changed to Tidy Cats Lightweight from the other tidy cats brand I was using! In the past, I have had varying success keeping the odor of ammonia and urine from emanating from my cat's litter box. Despite diligent cleaning, it seems like the second my cat uses the box, the litter takes on an unpleasant smell. Natural litters have utterly failed in this regard. Some scented litters merely add a pleasant scent on top of an ammonia scent, creating a strange melange that is unpleasant. This Tidy Cats litter had a noticeably longer lasting good scent than other litters I have used. And, the scent was a true scent, not merely a mixture of scent and urine once used. I very much appreciate that the litter is lightweight, since I live in an apartment and have to carry litter up many flights of stairs. This container makes it much easier for me to replace litter that I scoop, and that in itself means that the box smells better more consistently. I'd highly recommend this-and hope I can find the Glade Clean Blossoms scented version in a store near me soon! I love the Tidy Cats Lightweight with Glade Tough Odor Solutions clear Springs cat litter. It provided a fresher kitty box longer, so less frequent changes are definitely a plus. Also it has a light pleasant sent that didn't discourage my cat to use it. A+ in my books. I am loving this product! Not only is it lightweight, so I can easily transfer it into my house, but it also has a great smell. Usually with litter I can never find one that keeps the bathroom smelling nice. I'm glad I was able to try this and will definitely be buying more! This was by far a great product for me to try. As an owner of 2 cats I lug around a lot of cat litter. I was hesitant to try it before because it was more expensive and I was worried it would track all over the house but it did not. Tidy Cats" and the product "Tidy Cats Lightweight". Is the litter to buy no more harsh orders and easy to carry. I've always liked Tidy Cats products and the Lightweight is a lifesaver. I have RA, and have my good days and my bad days. Unfortunately, the cats and their box won't wait for a good day. Being able to handle and move around Lightweight litter is great. Having a fresh scent is honestly, just a bonus.